Tasmania is topping wish lists as a conference and events destination, and for good reason. Hobart’s picturesque setting on the Derwent River is part of the appeal, and Wrest Point is the premier waterfront event venue. With ferry access, ample free parking, onsite accommodation, live entertainment, bars, restaurants, and waterfront gardens, Wrest Point is the perfect venue for the 2019 AAIR Forum. 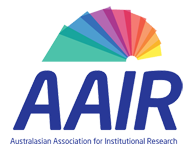 © Copyright 2019 AAIR FORUM. All Rights Reserved.